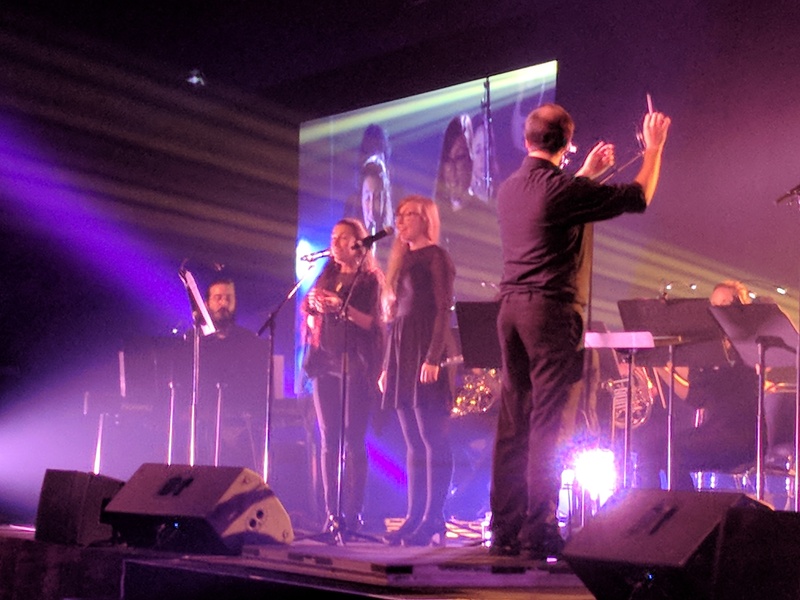 The Portable Video Game Orchestra — L’orchestre portable de jeux vidéo — was one of the musical acts this year at Otakuthon 2018. L’Orchestra Portable is a smaller arrangement comprised of L’orchestre de jeux vidéo, a project based out of Montreal who have been composing video game medleys since 2008 when they were founded by Catherine Caplette-Bérubé, Jocelyn Leblanc and Sébastien Wall-Lacelle. 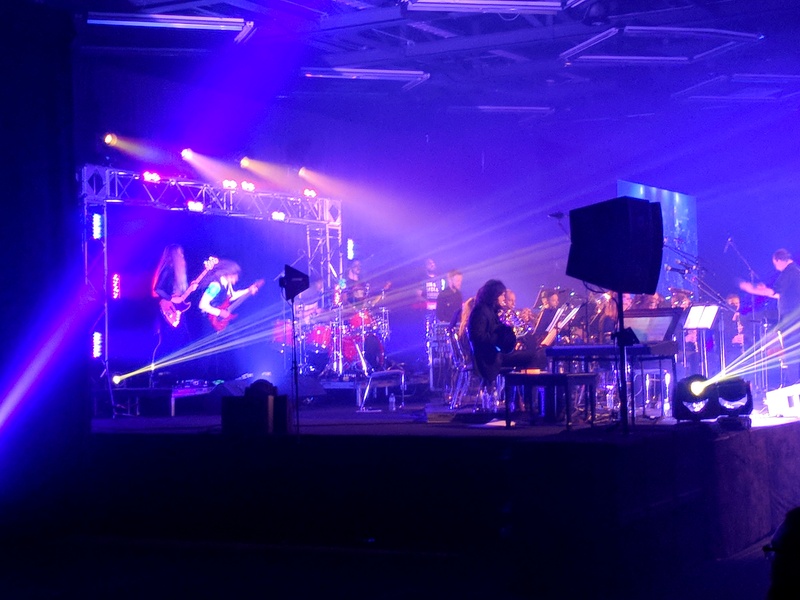 The Portable Orchestra was one of the many musical acts this year at Okatuthon 2018 — and one of three video game performances — including the Opening Ceremonies which featured the full Video Game Orchestra, as well as the rock-oriented Capcom Live. L’orchestre portable was additionally the first musical act that I saw at Otakuthon because I had not been able to make it in time for the Opening Ceremonies, and they set the stage perfectly for a weekend of passionate fandom and high-energy activities with their striking harmonies and fantastically composed medleys. I wasn’t sure exactly what to expect from L’orchestre portable de jeux vidéo as I sat waiting in the auditorium, listening to haunting melodic tones on the pan flute fill the air. 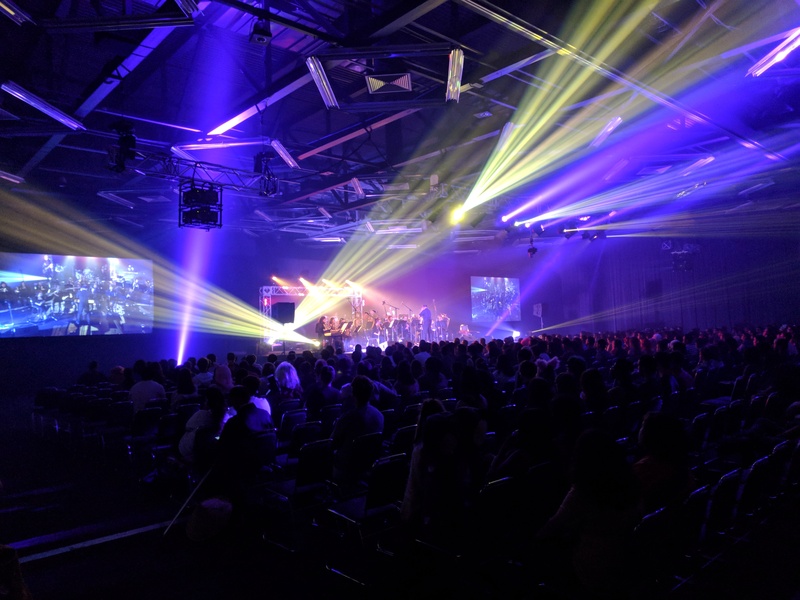 It was only a recording playing as we waited for the orchestra to set up, but it created this tense excitement, and you could feel the energy building in the room; much like in many of the other Otakuthon events. 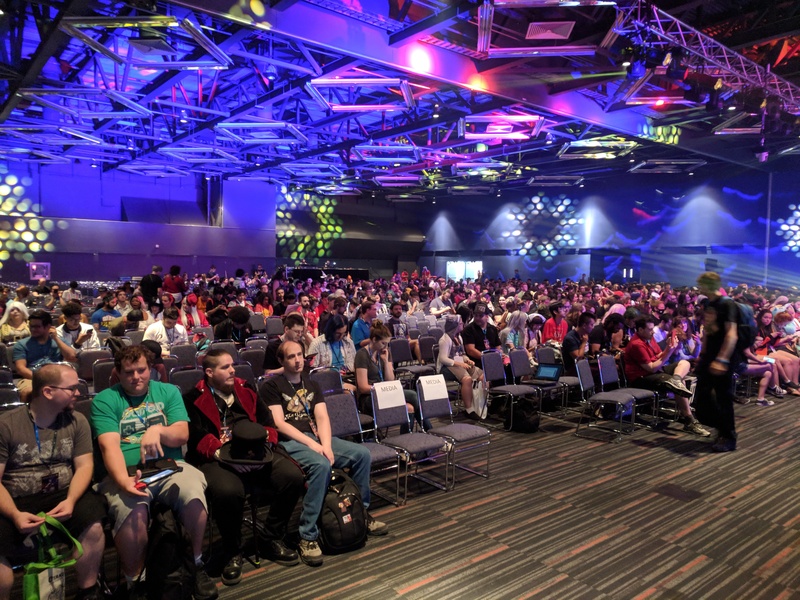 One of the best parts of the Otakuthon experience overall is how passionate and excited everyone is to be here and participate in the various festivities; there wasn’t a single event I attended that didn’t have this electricity in the air. The performance opened up, taking advantage of the energy in the room and playing with sweeping crescendos that only served to amplify the hype. There was no slow build up; the Orchestra started at 100 and hit us hard, beginning with a medley of soundtracks which teased your ears as you attempted to pick apart one track from another. As an eclectic gamer I wasn’t able to pick up on the first song that was played — and judging by the expressions around me others similarly searching their minds for the connection — but many which followed were instantly recognizable. As the band played through one of the tracks from Super Mario Odyssey, we all started clapping along to the snare beat and the auditorium was filled with a percussive echo as the crowd joined in. From this moment on, the crowd was wholly involved in the music. This was followed up by what may be the single most spectacular rendition of the Tetris song that I’ve ever heard, including some phenomenally on point sound effects by the percussion section. At this point it seemed like the Orchestra was moving into their own unique takes on classic tracks, and just when I thought I knew what was going on, they once again began skipping from song-to-song in a playful melody that traveled through the decades as fluidly as they transitioned songs. The music became almost a structured chaos as the band swerved in and out of decades, but once Donkey Kong Country started up the crowd joined back in with our own percussive line and the auditorium once again filled with the excited reverberation. While I was not able to pick up on every single track that was played — and in all fairness I probably only was sure of about 60% of them — the music always felt familiar. Even when I couldn’t peg the exact game or level that I may have heard a song on, my brain began furiously searching through my catalog of video game memories trying to place the track. But it didn’t matter. Even if I couldn’t remember exactly what game a song was from, I was swept away by the passion and sheer talent behind the music. While some of the songs were hidden within medleys and intertwining melodies, many of the soundtracks stood out in such a spectacular way that it was impossible not to pick up on the less-than-subtle cues. A perfect example of this was the Orchestra’s performance of the title track from Chrono Trigger which caused an instant hush to fall over the auditorium, so much so that I had to stop typing. It was one of the softer, more melodic tracks that the Orchestra played, and the hushed attentive crowd — myself included — sat almost awestruck through the beauty. There wasn’t an opportunity to catch your breath though, as it was revealed two of the members of the orchestra had beautiful singing voices, and we were treated first to ‘Fear Not This Night’ from Guild Wars 2, which sent shivers up and down my spine. I’ve never played Guild Wars before but he epic song was instantly recognizable. This was immediately followed up by ‘The Dragonborn Comes’ from Skyrim, which I’ve heard dozens of times before but had never truly grasped the raw power behind the vocals in person. The highlight of the entire experience for me was getting to see ‘The Dragonborn Comes’ performed live. I can’t even describe the sensation as the hairs stood up on the back of my neck and I once again felt that excited chill. I’ve sunk hundreds of hours into Skyrim and to be able to witness a performance that so echoed the raw power of the Dohvakiin, I felt like I was on top of High Hrothgar experiencing a Shout for the first time. The two singers’ voices were suited perfectly for the song, beginning with a powerful but soft harmonized melody and crescendoing into the crux of the song and showing their true power as vocalists, hitting operatic notes and absolutely blowing me away like a symphonic Fus Ro Dah. I can still hear the tones ringing in my ears, and I honestly hope they never fade. There were so many medleys, the best of which was easily a Final Fantasy 9 / The Legend of Zelda: Link’s Awakening mashup which was done in the style of flamenco guitar, was completely unexpected, and altogether fantastically composed. They moved right into the classic The Legend of Zelda song immediately following this and once again, I got chills. I likely spent a good half of the concert on the edge of my seat just letting the music wash over me. 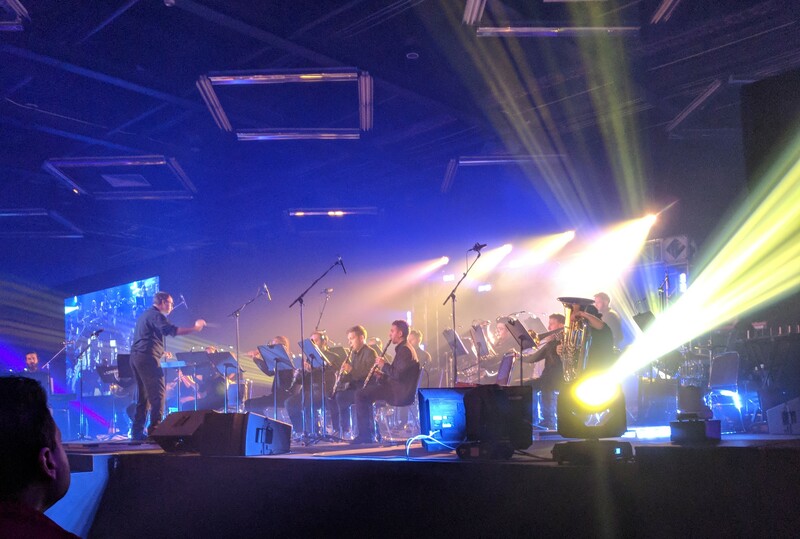 I’ve only touched on a handful of the games that the Portable Video Game Orchestra played tracks from, including MegaMan, Dragon Warrior, and a lot more from Final Fantasy. 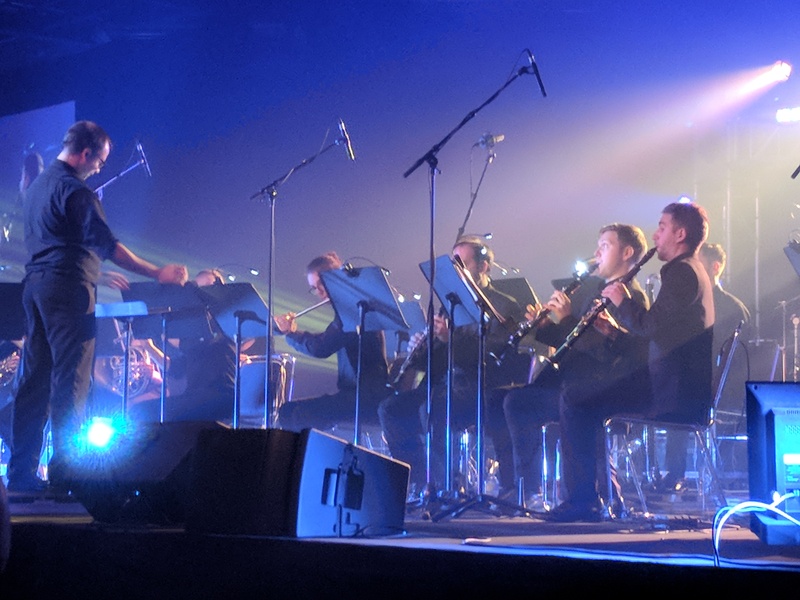 The show closed with a rendition of ‘One Winged Angel’ and ‘Birth of a God’ from Final Fantasy 7, which were on par with the quality of the compositions done by Distant Worlds, the official Final Fantasy Orchestra. For the final medley the group brought out a rock-trio to shred behind the orchestra, as we collectively stared in awe at insane amount of talent housed on such a small stage. Although the Portable Orchestra is comprised of only around 20 people, the amount of power in the music echoed that of full symphonies. 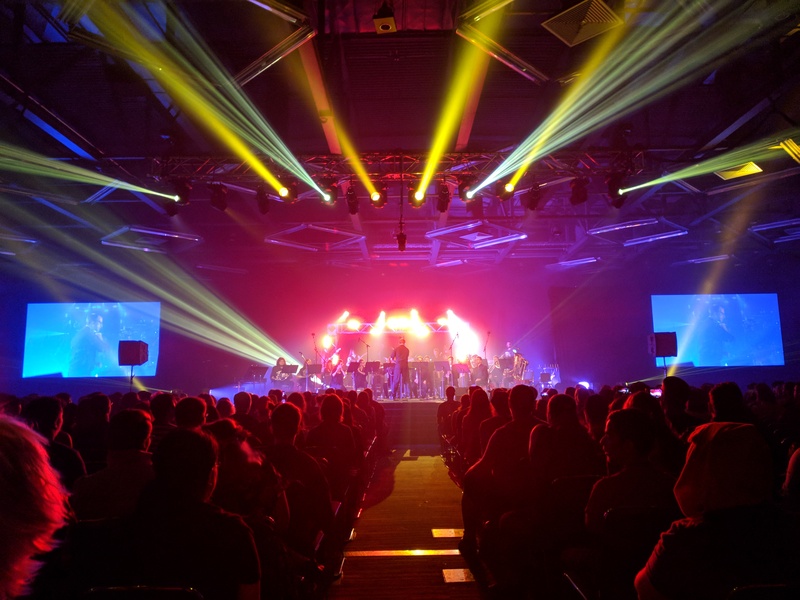 There is something truly magical about going to see a video game orchestra perform the tracks that you have grown up loving — and often beating bosses to — and watching those soundtracks performed live with the same passion that we put into beating the games. Overall the experience was absolutely sublime, and it’s something that I can’t begin to recommend enough to people. If you ever get the opportunity to see a video game orchestra (especially if it’s THE Video Game Orchestra) you absolutely need to take it. There is no experience quite like the amalgamation of nerdy nostalgia with orchestral talent, and it’s one I won’t soon forget.